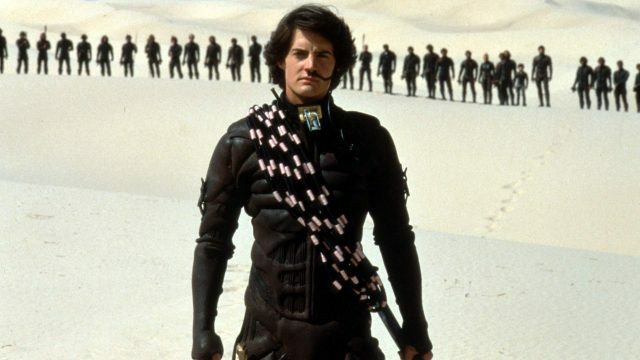 Industry veteran Eric Roth, the scribe best known for The Curious Case of Benjamin Button along with his Oscar-winning work on Forrest Gump, has signed on to pen the script for Denis Villeneuve’s long-anticipated Dune reboot. Variety has the scoop, confirming that Eric Roth will be tasked with giving Arrakis a new lick of paint. Frank Herbert’s sci-fi tome is naturally the jumping-off point, creatively speaking, after it was first adapted for the big screen by David Lynch in ’84. Widely considered to be a box office flop at the time, the overly ambitious feature film has amassed something of a cult following over the years, so it’s small wonder why news that Legendary had reached a deal with the Frank Herbert estate back in November garnered some much buzz. Those rights apply to both film and TV projects, but after appointing Arrival director Denis Villeneuve at the helm, it’s the former that will take precedence for the time being. Indeed, Eric Roth won’t be the only creative voice behind the scenes; Kevin J. Anderson, the author behind a series of Star Wars and X-Files spinoff novels, will serve as a creative consultant. It’s a space opera told on a galactic scale, with enough compelling characters to fuel an entire franchise of films, let alone a single sci-fi epic. Whether Denis Villeneuve’s adaptation can become the first in a series of blockbuster movies is up for question, but with Eric Roth now in tow, fans can at least take solace in the fact that, after many years spent in development limbo, Dune‘s wheels are finally beginning to creak into motion – and not a moment too soon.